Simple steps you can take to recycle usable "gray water” and cut the amount of water you waste. But gray water systems can cost anywhere from a few hundred dollars to a few thousand and take years to pay themselves off. DIY gray water rigs take an hour just to watch the how-to videos on YouTube, and you’ve got better plans for your Saturday afternoon. If you’re renting, there’s also a good chance your landlord doesn’t want you screwing up (or unscrewing up) the rental’s pipes with your hippie conservationism. There are tons of reasons not to recycle your water, but lack of options shouldn’t be one of them. It’s time to absolve that nagging eco-guilt with some simple ways to start getting your wastewater from your drain to your garden immediately, using nothing more than a bucket. Most of us start our showers by letting gallons of perfectly good water rain down the drain while it warms up. Solution: stick a bucket under the faucet and let it fill while the water gets hot. If you shower in the morning, there’s your first water of the day. Some of the savvier (and more climate-blessed) of us may have solar heating systems that get hot water flowing almost immediately ”“ if that’s you, consider leaving a bucket or pot right in the tub next to you while showering. Just don’t lose track of it while you shampoo. While you’re continuing to put off fixing that perpetually dripping faucet, you might as well put the water to use by collecting it throughout the day. Or, say you’re in an older house with questionable insulation and need to let the faucet drip all night during freezing season to avoid burst pipes ”“ there’s a nightly tap of reusable water. In our tests, even after turning/re-turning the valve repeatedly trying to get the lowest drip rate possible, we found you can still fill a 2-gallon pot overnight. 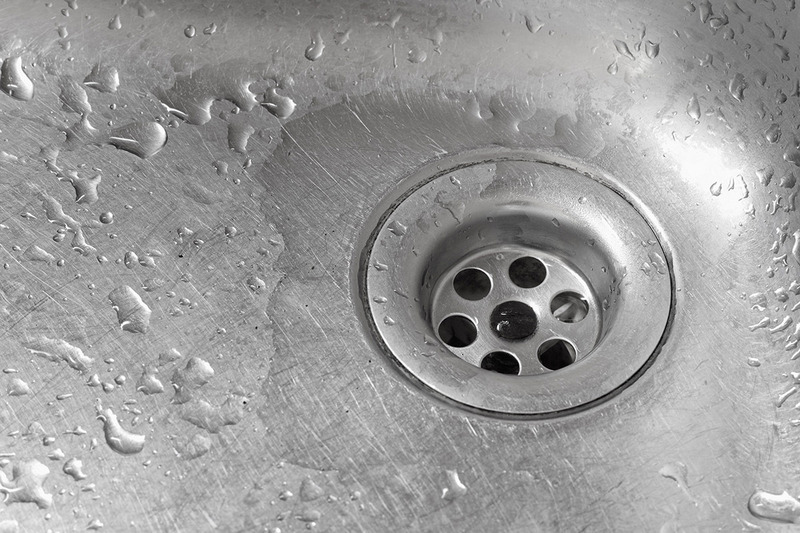 Probably the most efficient way to get gray water is from your kitchen sink. Pay attention the next time you do dishes and you’ll notice the majority of the water you use you’re not actually using at all (i.e. it keeps flowing while you rack a dish and pick up the next one). Saving all that is as simple as unscrewing your sink’s drainpipe and sticking a bucket underneath. Just watch the level and make sure you warn your guests about it ”“ if you don’t give people the head’s-up, this set-up can result in mildewed cabinets and wet feet. If all that sounds like a bit too much to think about, leave your sink connected and keep the bucket handy. If you’re like most people, there’s probably at least one dish or mug in your sink at any given time ”“ keep them under the faucet and let them collect the runoff from washing hands, doing dishes, etc. Dump the water into the bucket as you go and use it in your garden the next morning, then start over the next day. Your roof doesn’t need rainwater, but your plants do. If you’re in a rain-heavy climate, you might need to pick up a barrel for this. If you live in the desert, a bucket will probably suffice. Generally the best place to set up is beneath a downspout from your gutter, which might require a bit of creative hacking and rerouting to set up. Otherwise you can just disconnect the downspout altogether and aim the barrel underneath it then hope for the best. No gutter? Just set up wherever you see a lot of runoff from the roof, most likely a corner. Particularly for the dishwater ideas, be sure you’re not keeping anything toxic or non-biodegradable in your usable gray water. Generally that means no salt, borax, bar soap, bleach, bacon grease, urine, alcohol, Diet Mountain Dew, etc. and not using it on the parts of vegetables you actually plan on eating. When in doubt about the soap/detergent you’re using, look for natural brands that say things like “Garden Friendly” on the label. And remember that basically anywhere you use water (toilet bowl excluded) there’s a way to save and reuse some of it, as it’s almost never 100 percent efficient. So get creative and think twice any time you find yourself dumping water down a drain ”“ there’s a better place for it.